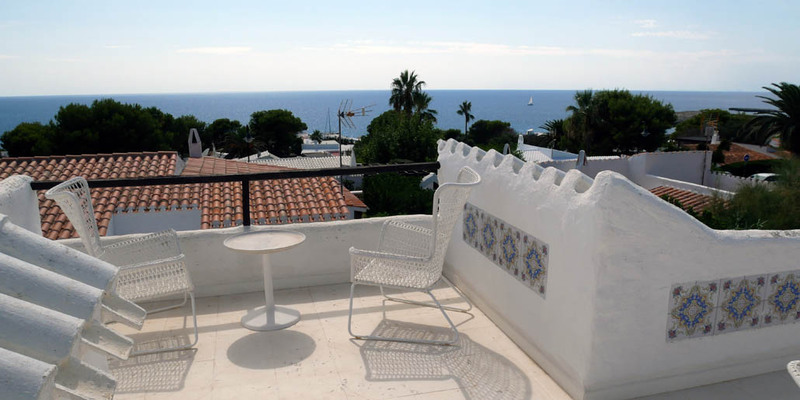 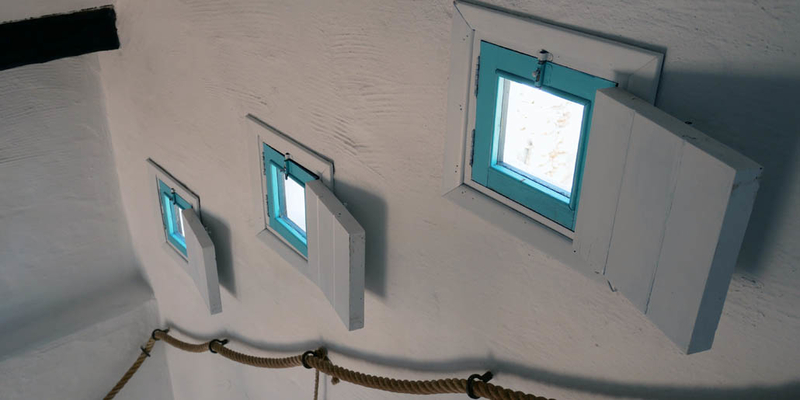 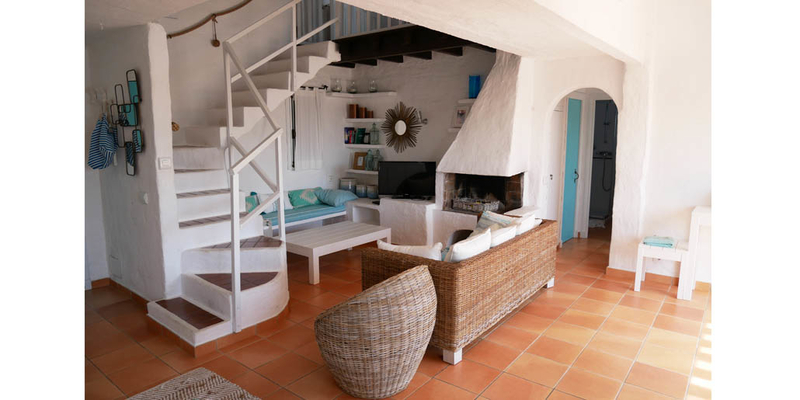 Located less than 10 minutes walk from the quaint Binibeca Vell ‘fishing village’ and with gorgeous sea views from its roof terrace, San Colomban is a charming three-bedroom villa, tastefully decorated with a nautical theme and boasting a lovely private swimming pool. 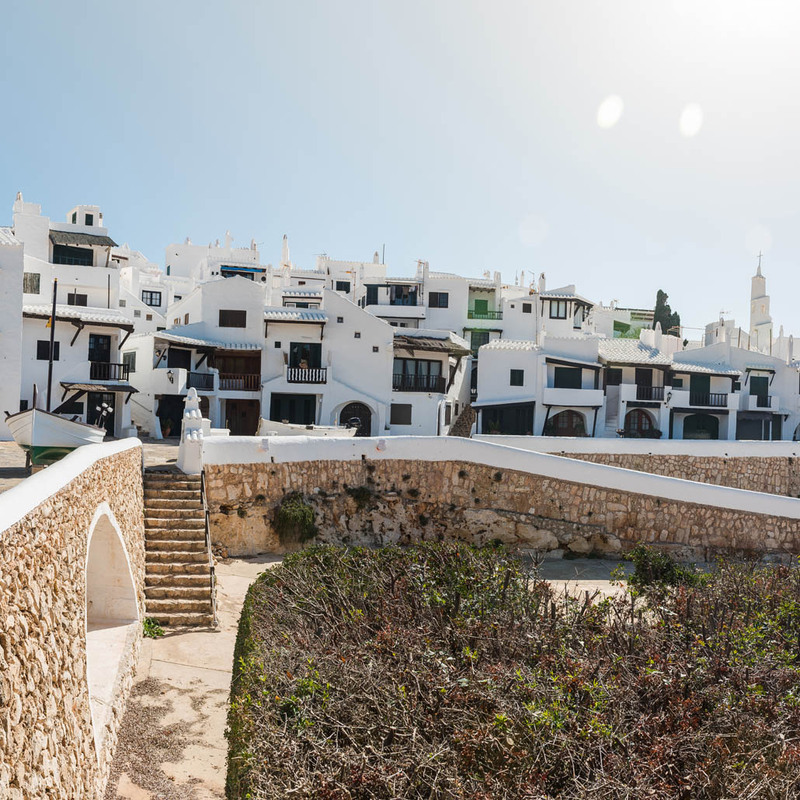 San Colomban is situated in a small cul de sac along with five or six other houses and there is plenty of off-street parking; there are half-a-dozen steps down from the road to the front door and entry into the Mediterranean-blue-and-white themed main living area. 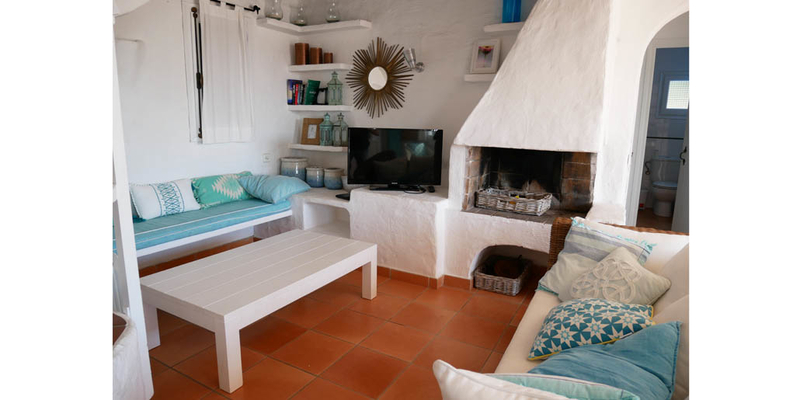 In this bright and airy space is seating for six in a cosy corner under the stairs and around the fireplace, and a TV offering mainly Spanish channels. 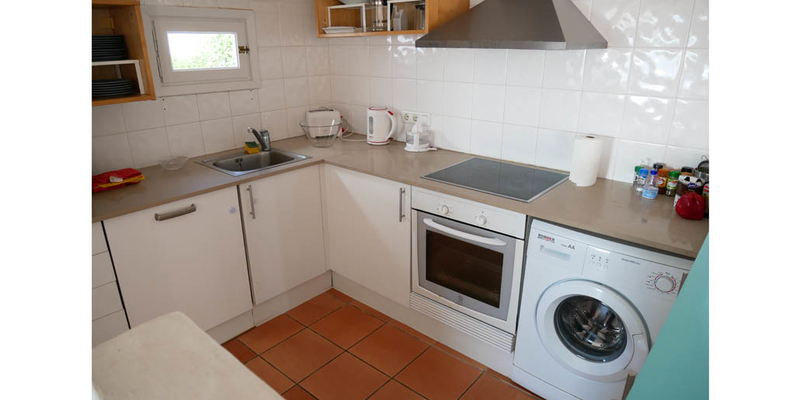 A breakfast bar separates the living area from the compact kitchen, which is equipped with dishwasher, washing machine, fridge-freezer, coffee maker and oven with ceramic electric hob. 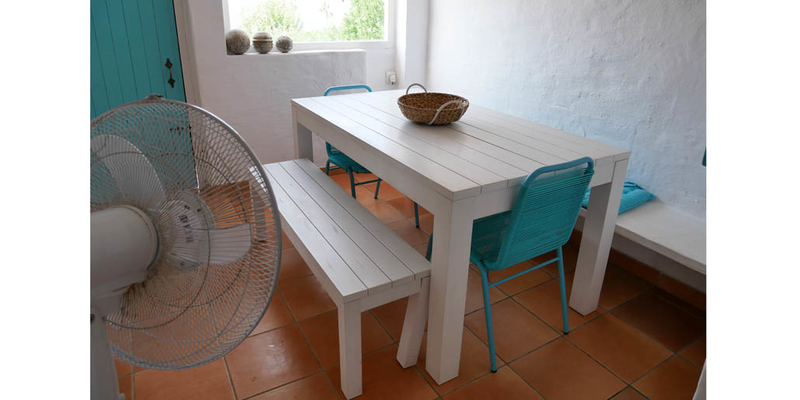 Next to the kitchen is a separate dining area with table to seat six. 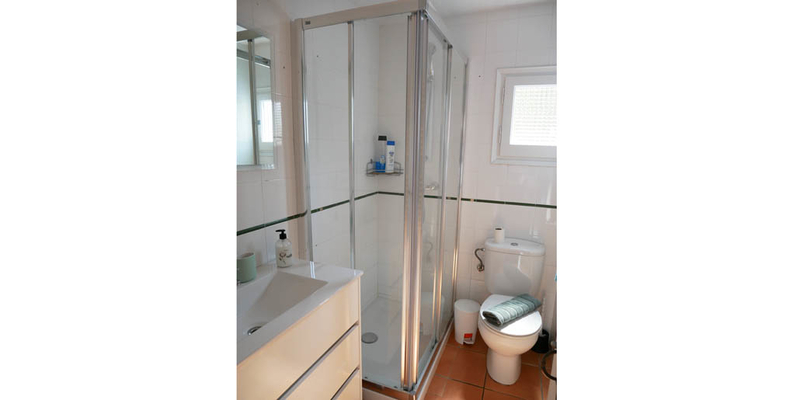 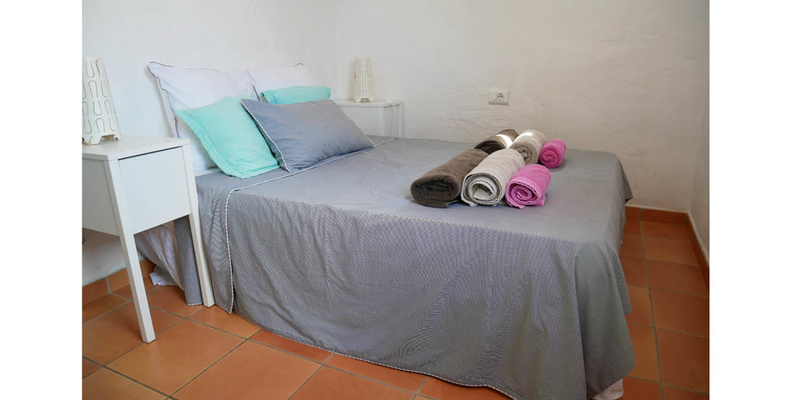 There are two bedrooms on the ground floor – one with a double bed and the other equipped with two single beds; they share a separate shower room. 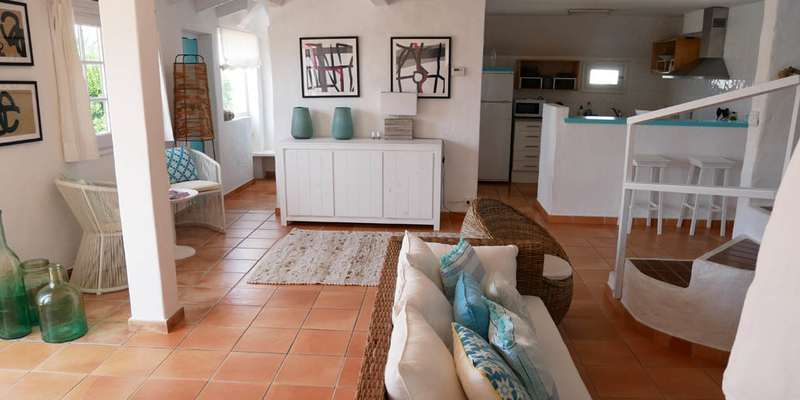 There are electric fans in all bedrooms. 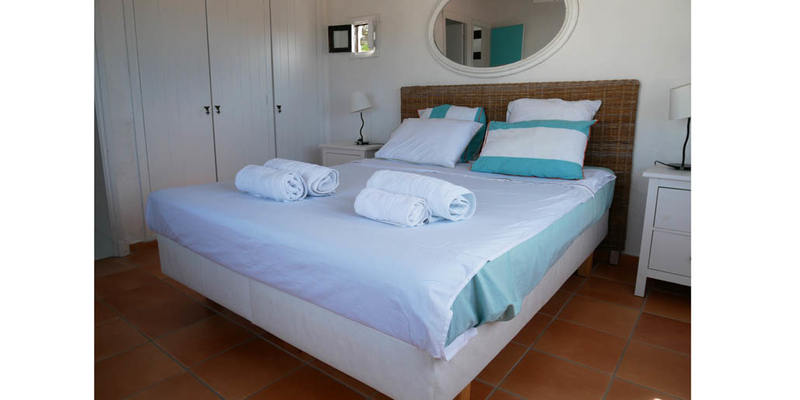 The master double bedroom is upstairs, where you will also find a small landing area with desk space. 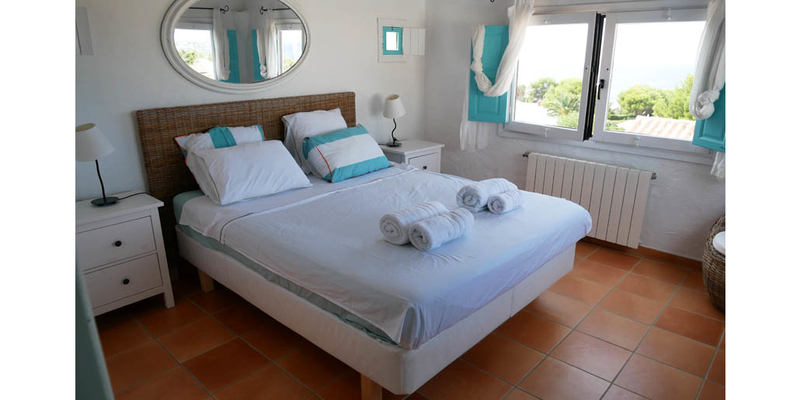 There are fitted cupboards in the main bedroom, and a king-size bed, and there is a separate bathroom equipped with a bathtub with shower over. 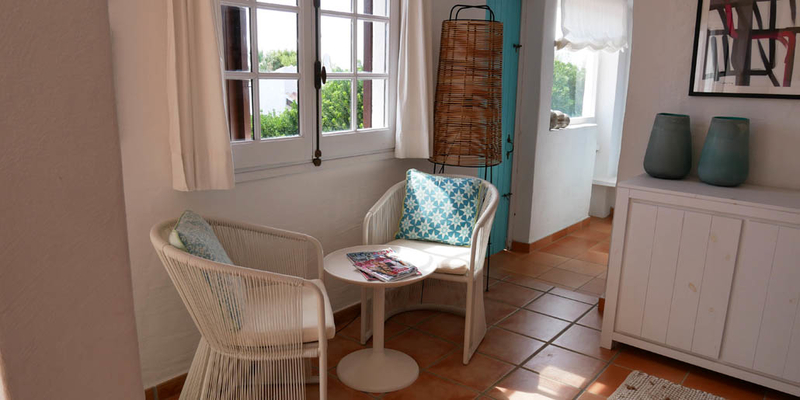 Doors lead from the master bedroom to a lovely roof terrace with fabulous views out over Binibeca bay. 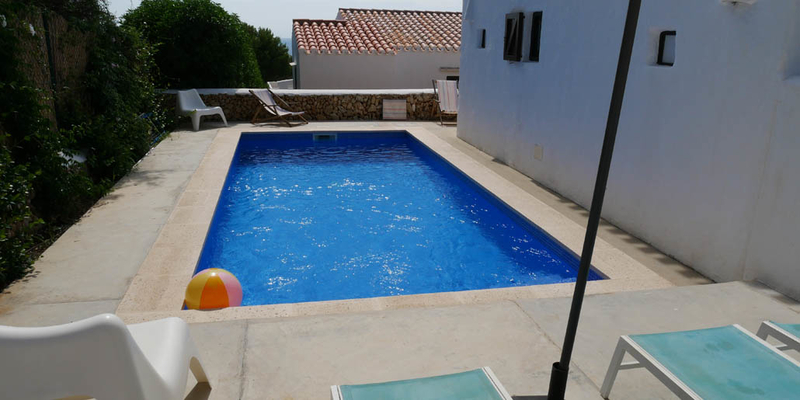 Glass doors from the downstairs living area provide access to the rear terrace, which leads to the 8x3m private pool at the side of the property. 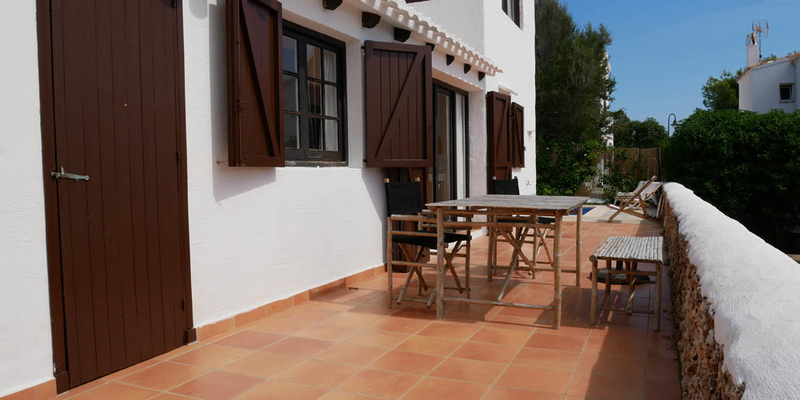 There are sunloungers around the pool, deckchairs and a small wooden dining table with directors chairs, as well as a barbecue. 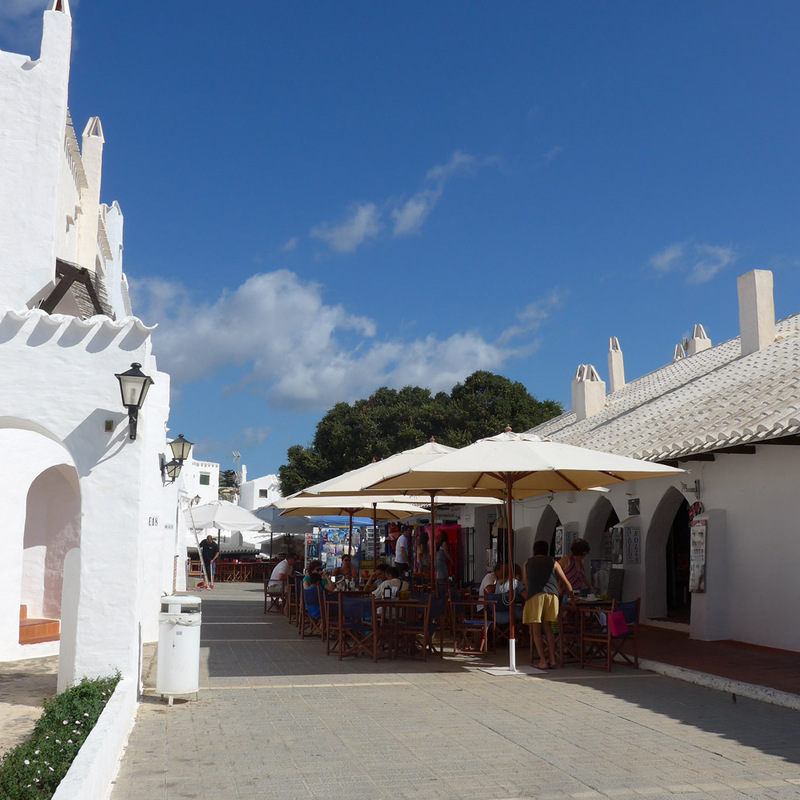 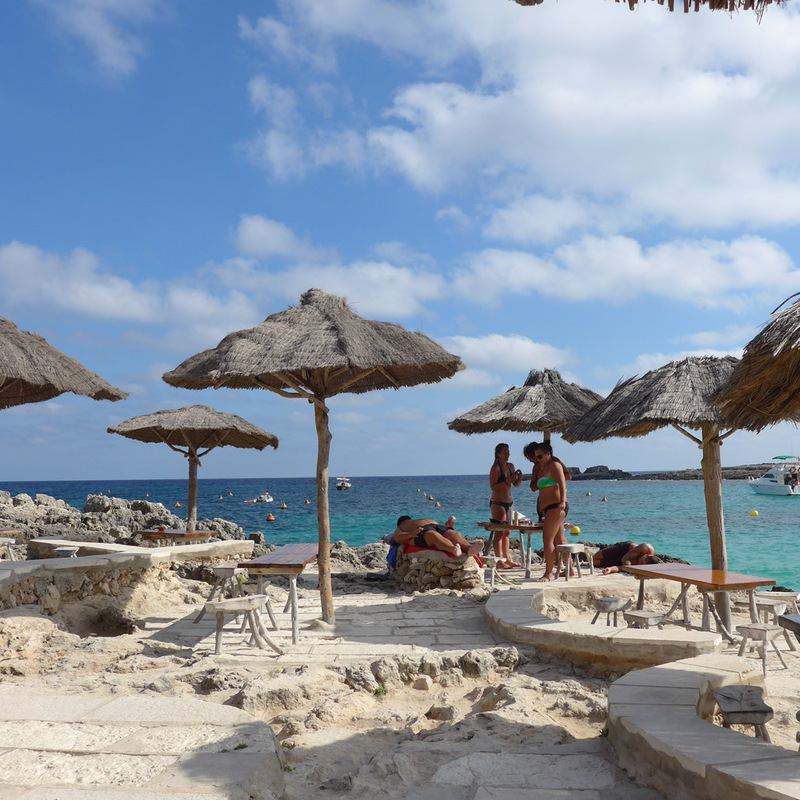 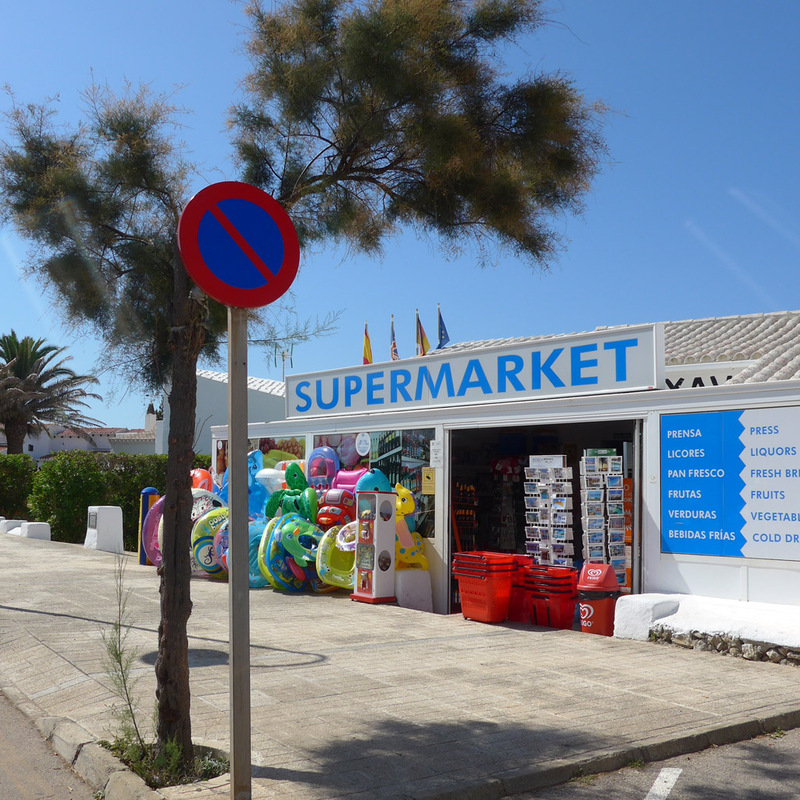 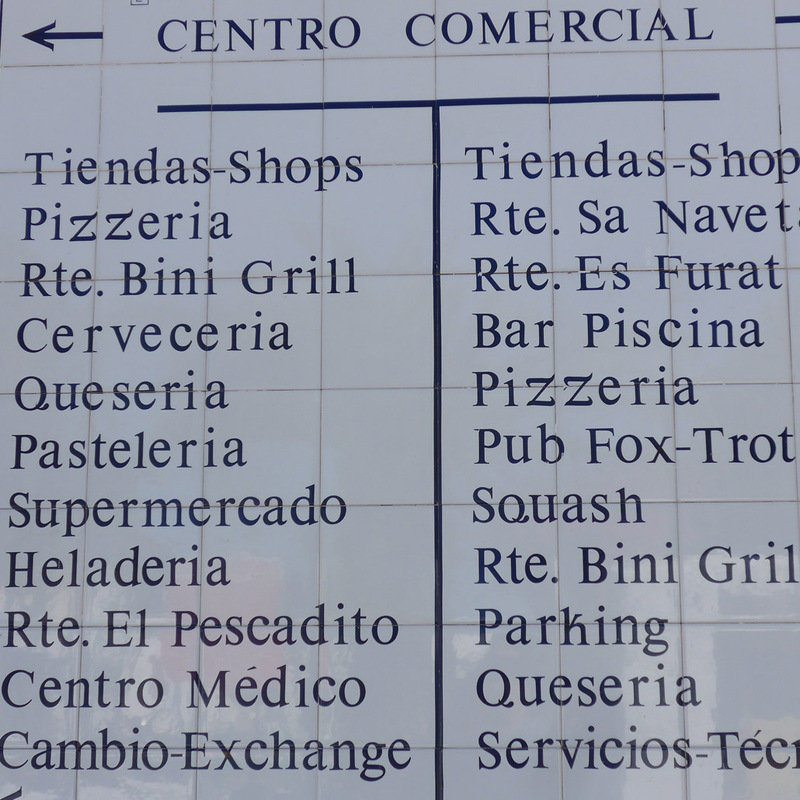 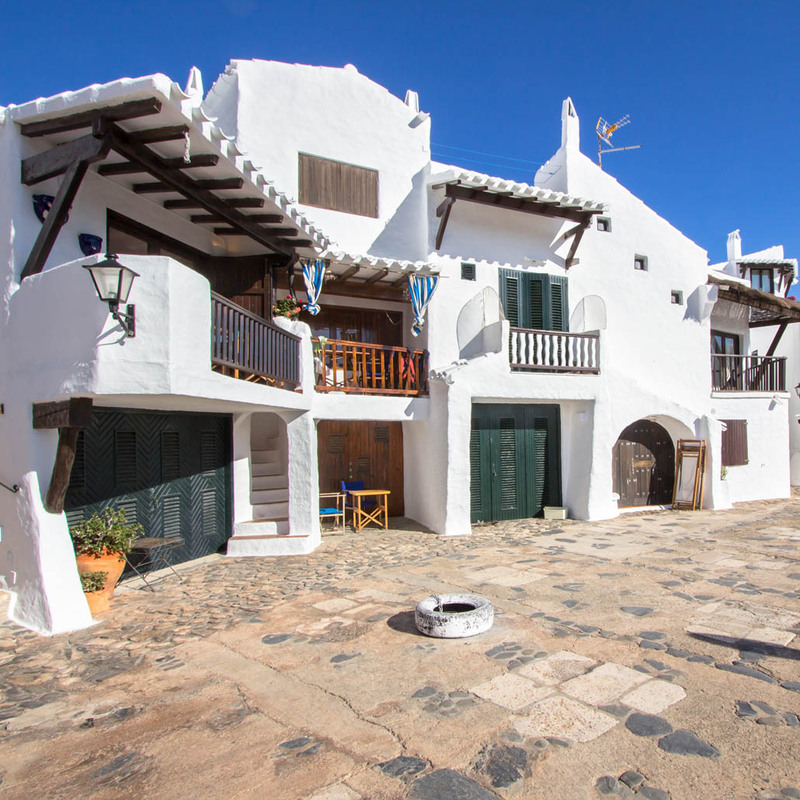 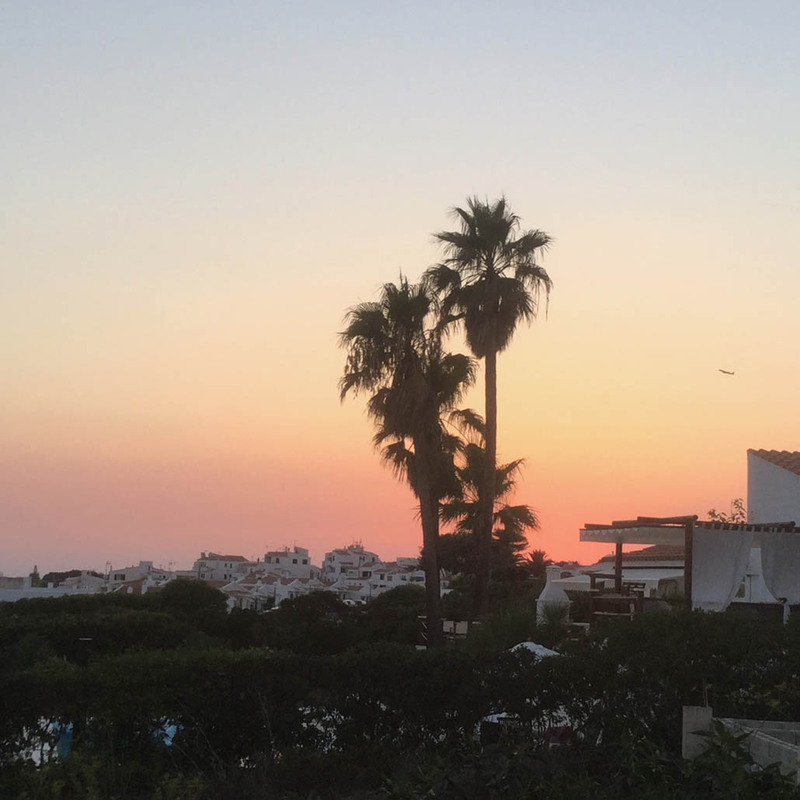 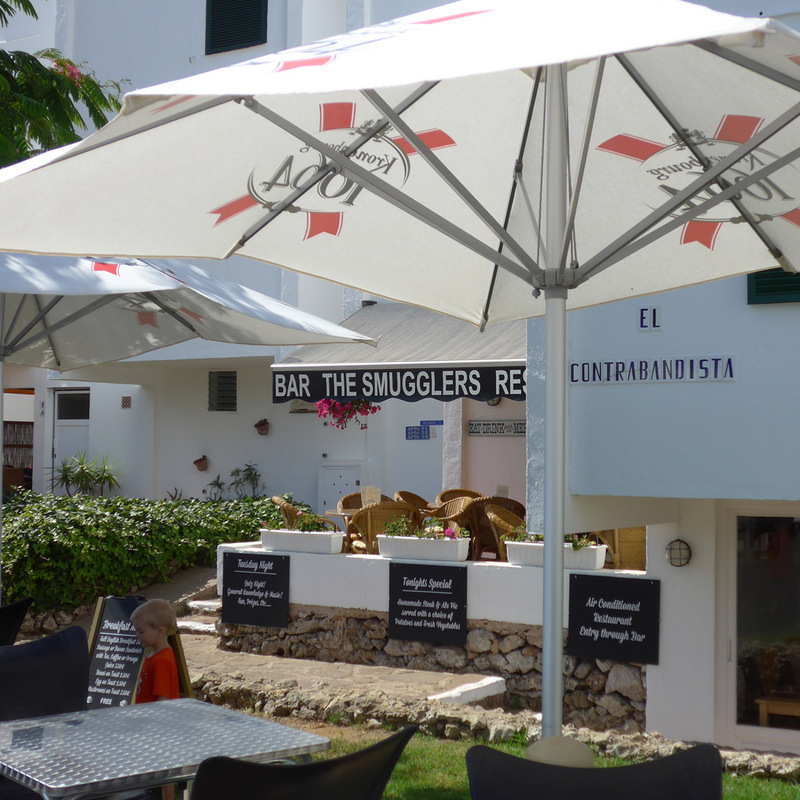 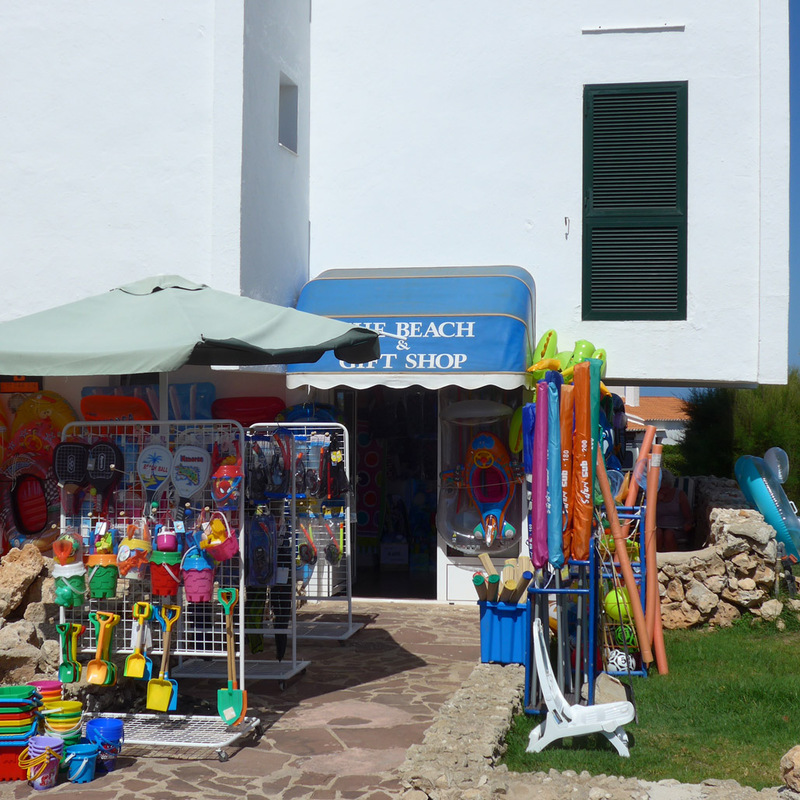 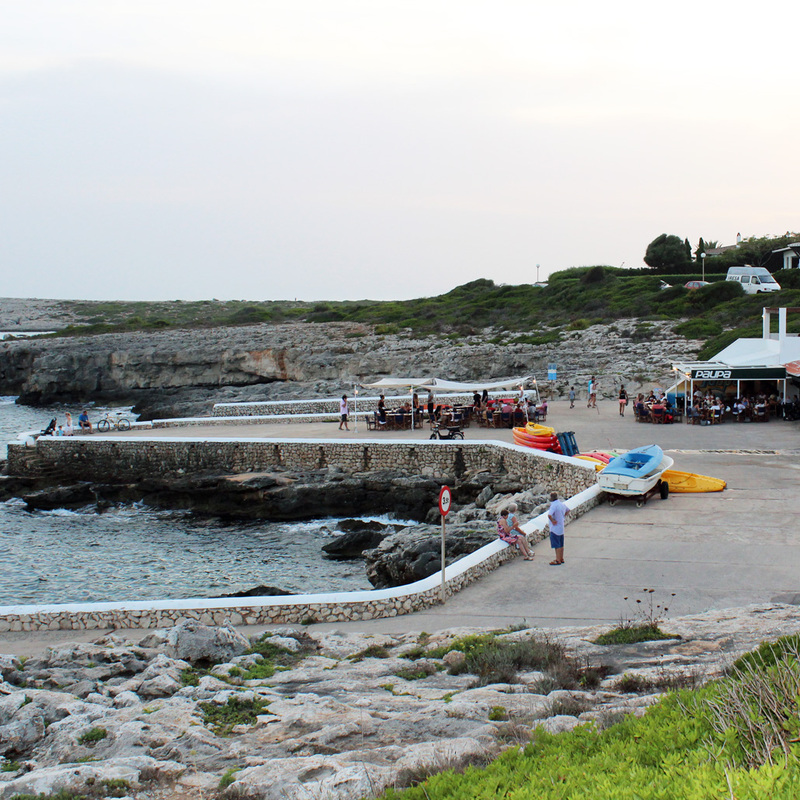 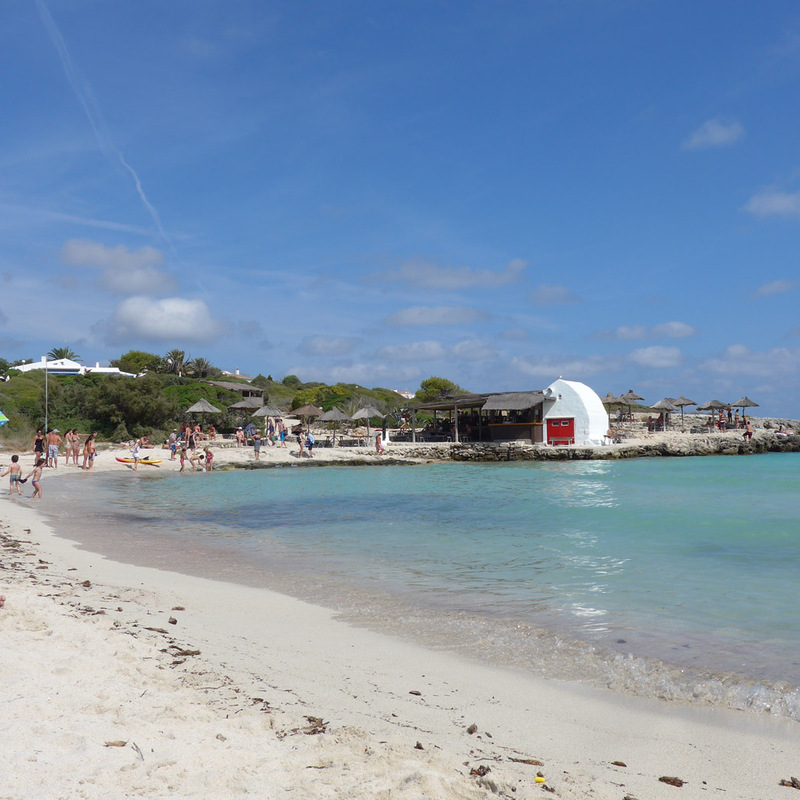 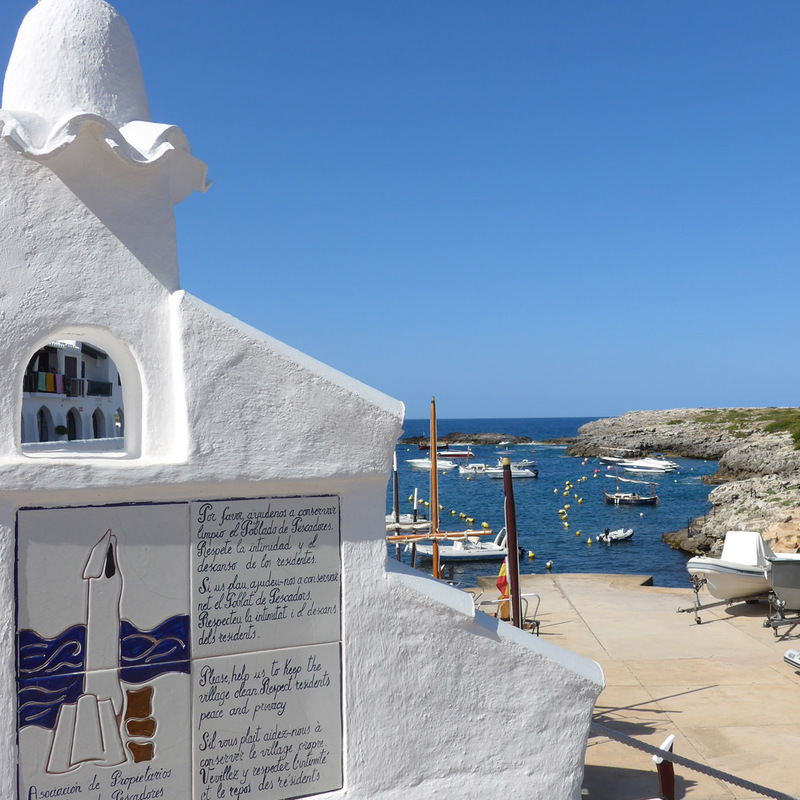 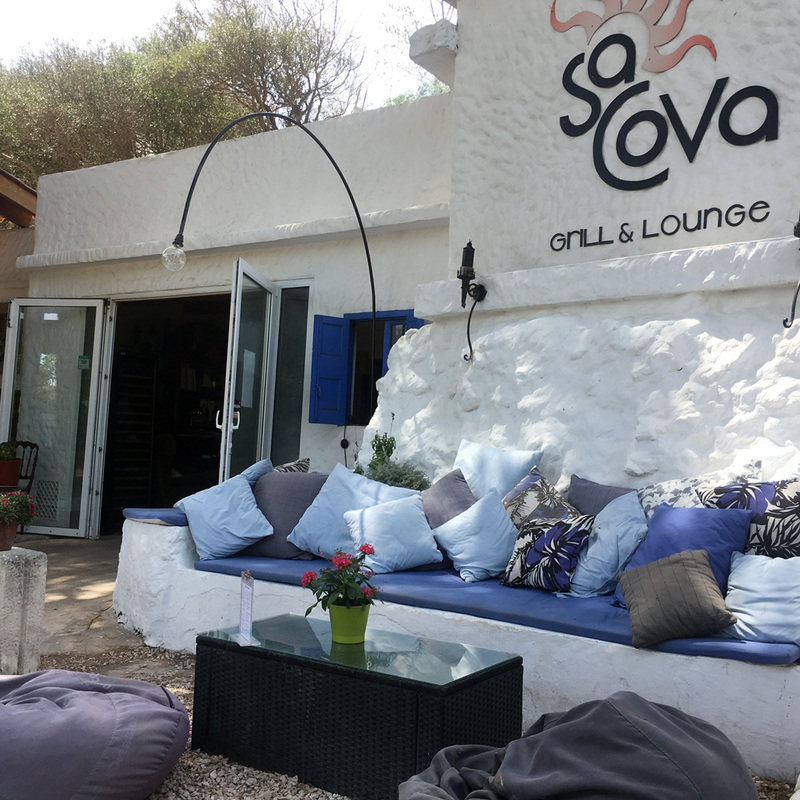 San Colomban is brilliantly located for the shops and many restaurants of Binibeca Vell and is also less than 20 minutes walk away from Binibeca’s lovely child-friendly beach.